Give towards pain-free, healthy joints of DEFHR horses. Many of our horses come to us with some sort of compromised joint health, whether its the result of the work they have experienced in years past, complications from neglect and emaciation, conformation or basic deterioraton due to advaned age. 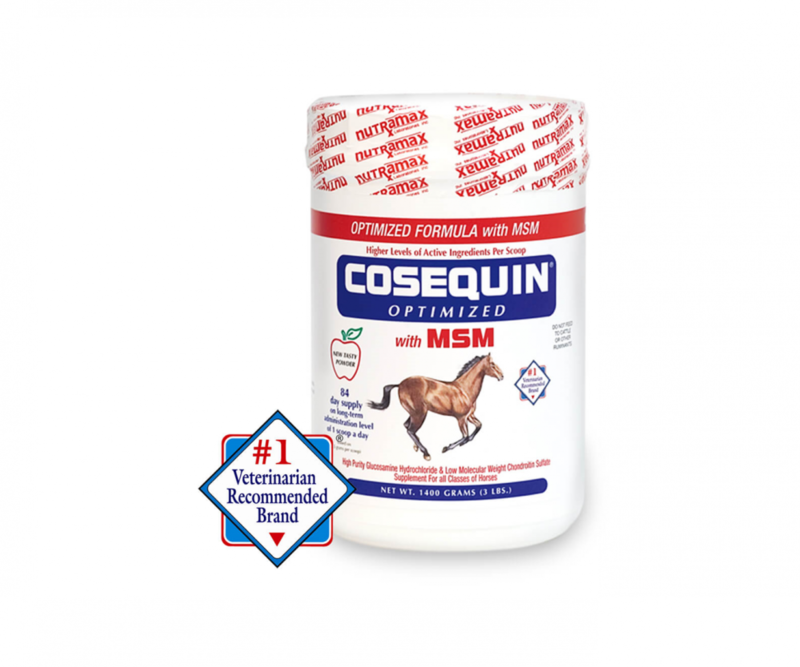 Cosequin Optimized with MSM is, in our opinion, one of the best products out there with helping to support our horses' joint health. We see execptional results from the product and have included it as a staple supplement in our horse care programs. Your gift of $100 will purchases 3lbs of Cosequin Optimized with MSN which will support the joint health of 3 horses for 1 month.